The Flavigny dining table by Vitra is a design by the French architect and designer Jean Prouvé, who originally conceived the generous table for meetings. 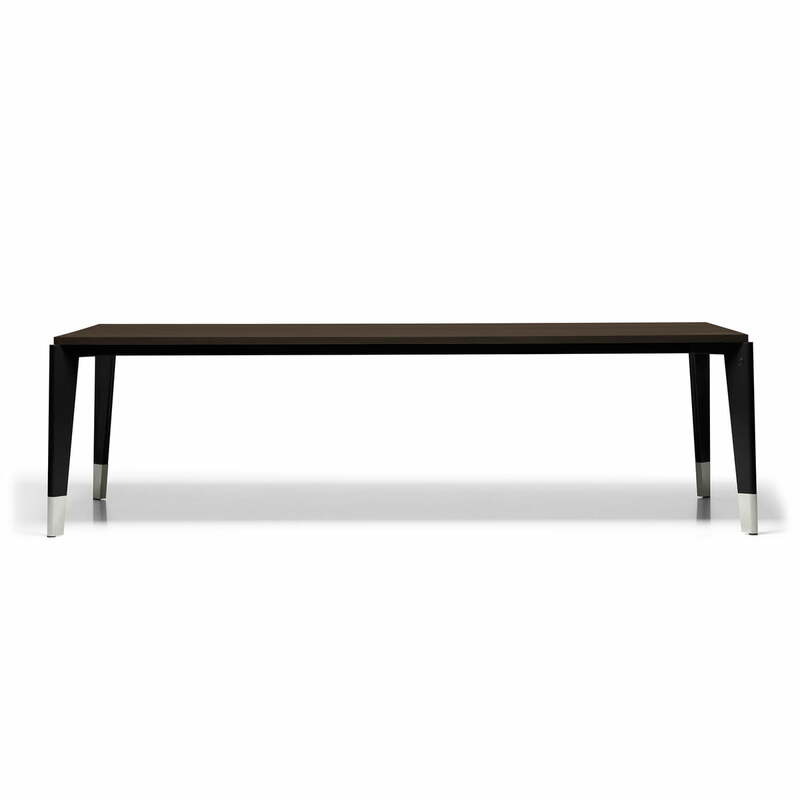 The table made its first appearance in the sanatorium of Flavigny, which is what inspired the name. 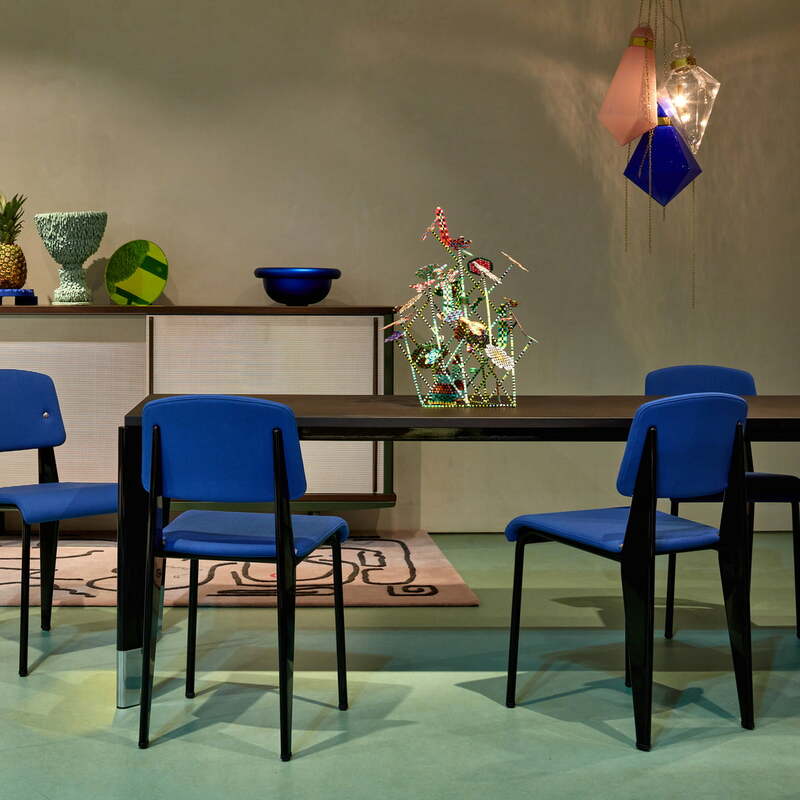 The elegant dining table is characterised by the exceptional shape of its legs, which taper downwards and are positionned at an angle of 45° from the corners to the outside. This ensures maximum legroom for the users and gives the construction additional stability. The dining table in the dimensions 240 x 90 cm is suitable to seat the whole family, a few of your favourite friends or for a tête-à-tête with your loved one. The tabletop is available in solid oak wood - natural or smoked - or in walnut. Contrasting the natural wood, the powder-coated metal legs add some industrial charm together with the fittings in polished aluminium. As an ensemble, a harmonious overall impression is created, which integrates perfectly into both a modern and a classical setting. Handy not only for building floors: The legs of the Flavigny dining table are equipped with glides that can be adjusted within a range of 10 mm to accommodate uneven floors.